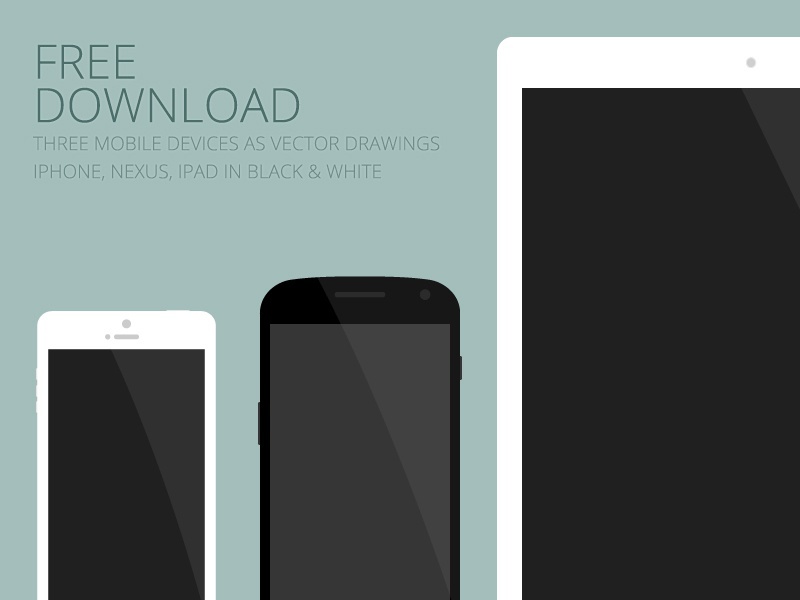 Three flat, mobile devices (iPhone-, iPad-, Galaxy-Nexus-Look-a-Likes) for free use in personal or commercial projects as vector drawings. All models are available in black and white. License is CC BY SA.